Natalie Morales grills up steak with chimuchurri sauce, tosses together a Greek salad and prepares fragrant coconut rice for a quick and healthy dinner. 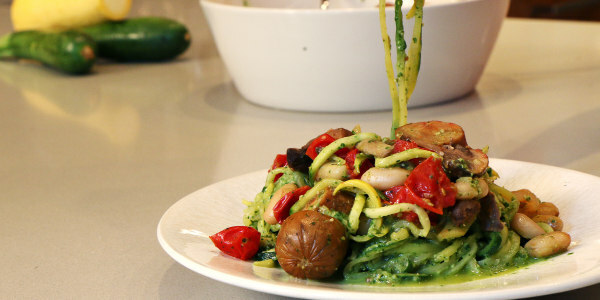 TODAY's own Natalie Morales is in the kitchen sharing delicious dinner recipes from her new cookbook, "At Home with Natalie: Simple Recipes for Healthy Living from My Family's Kitchen to Yours." She shows us how to make a classic Greek salad with feta and olives, a "family-favorite" marinated steak with herbaceous chimichurri sauce and fluffy coconut-infused rice. 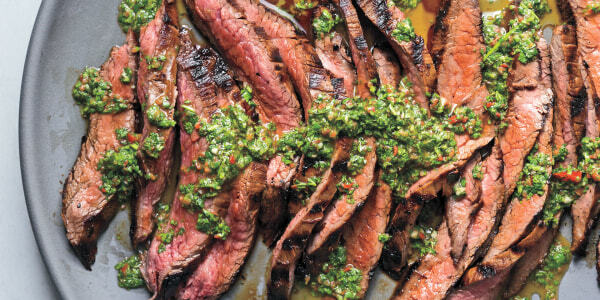 "This prep-ahead steak is great for entertaining. Set the meat in the marinade and prep the sauce the day before to make cooking and serving a cinch," says Natalie. 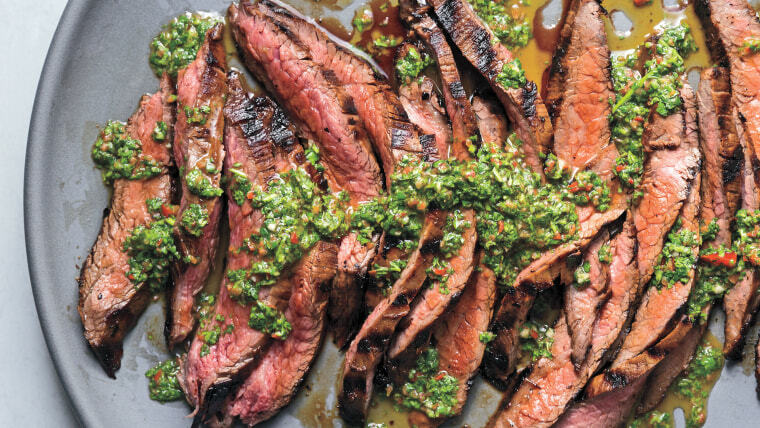 "If there are leftovers of this steak (which is unusual), it makes for great steak salads, tacos, steak and eggs or a classic steak and cheese sandwich." 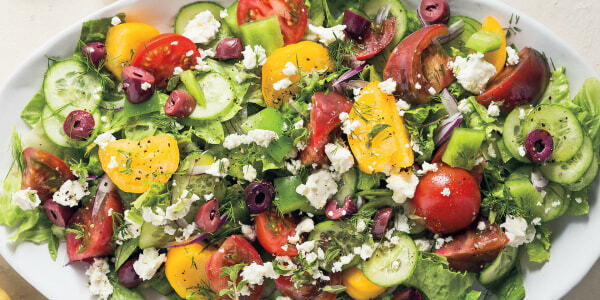 "Greek salad is great year round, but I especially love eating it in spring. The fresh herbs, briny feta, zesty lemon and crunchy veggies give it a fresh and clean flavor that compliments the warming weather perfectly." 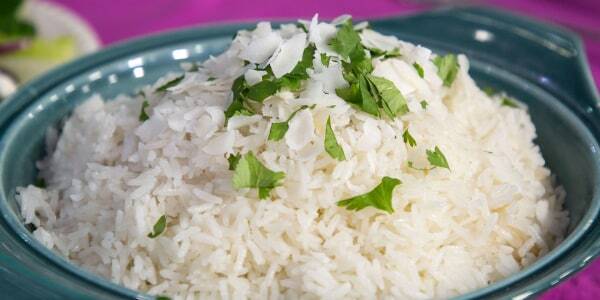 "Everyone will go coco-nuts for this rice! 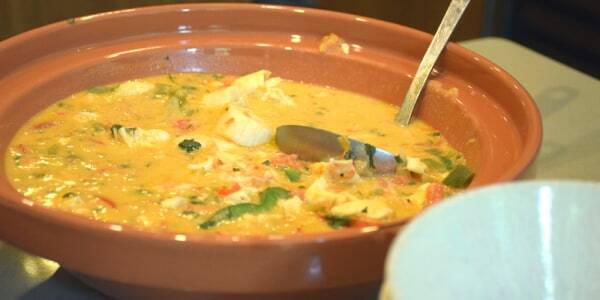 Its fruity, tropical flavor compliments a variety of dishes and its exceptionally simple to make."